1. Jackson, Marvin When You Rock 'N Roll [unissued] uniss. 2. Jackson, Marvin Down The Rolley Rink [vers. 1] [unissued] uniss. 3. Jackson, Marvin He's Just A Cool Man, Cool [unissued] uniss. 4. Jackson, Marvin Keep A Shakin' [unissued] uniss. 6. Jackson, Marvin Fifty-Six V8 Ford [unissued] uniss. 7. Jackson, Marvin My Baby Likes To Go [unissued] uniss. 8. Jackson, Marvin Debbie Gail [unissued] uniss. 9. 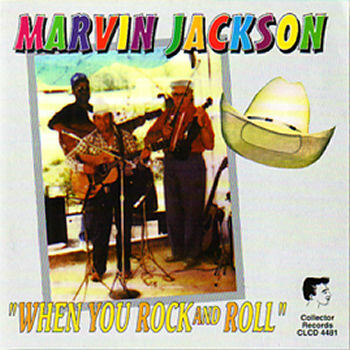 Jackson, Marvin Rockin' N' Rollin' [unissued] uniss. 11. Jackson, Marvin Peek-A-Boo [alt. vers.] [unissued] uniss. 12. Jackson, Marvin Alone And So Blue [unissued] uniss. 13. Jackson, Marvin Pretty, Pretty Loretta [unissued] uniss. 15. Jackson, Marvin Rock 'N Roll Baby [unissued] uniss. 16. Jackson, Marvin Always Late Johnny [unissued] uniss. 17. Jackson, Marvin I Only Know My Baby's Gone [unissued] uniss. 18. Jackson, Marvin Rainstorm – (instr.) [unissued] uniss. 19. Jackson, Marvin Shake Baby Shake [unissued] uniss. 20. Jackson, Marvin Tennessee Saturday Night [unissued] uniss. 21. Jackson, Marvin Sneaky – (instr.) Marlo (Ill.) 1512 1961/Oct. 22. Jackson, Marvin Hadacol Boogie [unissued] uniss. 23. Jackson, Marvin Just Because [unissued] uniss. 24. Jackson, Marvin Rootie Tootie Baby [unissued] uniss. 25. Jackson, Marvin Crawdad Song [unissued] uniss. 26. Jackson, Marvin Shades – (instr.) Marlo (Ill.) 1512 1961/Oct. 27. Jackson, Marvin Rockin' And A Rollin' [unissued] uniss. 28. Jackson, Marvin Down The Rolley Rink [vers. 2] [unissued] uniss. 30. Jackson, Marvin Hello Josephine [unissued] uniss. 31. Jackson, Marvin I'll Sail My Ship Alone [unissued] uniss. 33. Jackson, Marvin Gee Whiz, Miss Liz [alt. vers.] [unissued] uniss.